In “Better Days,” a reporter for a coastal newspaper begins investigating a story that cuts close to home: a newcomer with a big yacht, a big roll of cash, and a big interest in the same woman that the reporter has been courting himself. Where did this big spender come from? Is he really who he says he is? And if not, then who is he? 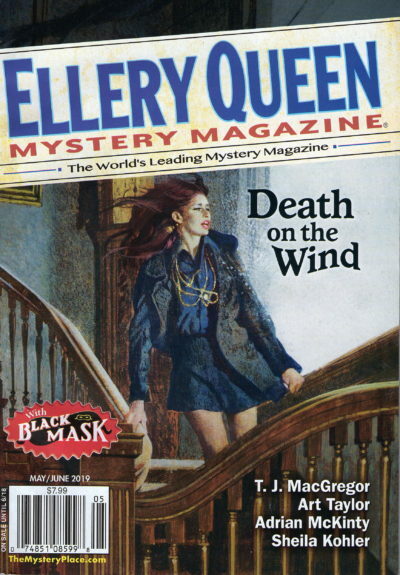 “Better Days” revisits characters from my story “A Drowning at Snow’s Cut,” originally published in Ellery Queen’s Mystery Magazine in May 2011 and winner of the Derringer Award for Best Long Story in 2012. While much of the new story circles around that uncomfortable love triangle, it also focuses—like the earlier story—on father-and-son relationships, with the reporter bristling over tensions with his own dad and wondering if better days really do lie ahead, for any of them. It was a pleasure spending time with these characters again, and I’m hoping to see them working on more cases in future issues of EQMM.